Daryl Spencer, a major league veteran of ten seasons and a baseball pioneer in Japan, passed away in his hometown of Wichita, Kansas on Monday January 2, 2017. He was 88. Spencer broke into the major leagues with the New York Giants in 1952 after swatting over 20 home runs in three of his first four minor league seasons. The 24-year-old Spencer continued his power hitting as he manned all three infield positions for the Giants in 1953 while slamming 20 home runs. Just as Spencer’s talents were progressing, he was drafted for military service before the start of the 1954 season. His military tour cost him an opportunity to be a part of the Giants 1954 World Series Championship. His efforts the previous season didn’t go unnoticed by his teammates, as they voted him a share of the World Series earnings. Spencer returned in 1956 and remained a fixture in the Giants lineup as they moved to San Francisco. He gained notoriety when he hit the first home run in West Coast major league history, blasting a shot off of Los Angeles Dodgers pitcher Don Drysdale in the fourth inning of the first game of the 1958 season. He played with the Giants through the end of the 1959 season when they traded him to the St. Louis Cardinals that offseason. He spent another four years in the majors, seeing action with the Dodgers and Cincinnati Reds until he was released by Cincinnati on his 35th birthday in 1963. “Some birthday present, huh?” he asked Rives. His release opened the door for another opportunity that came from an unlikely place, Japan. The Hankyu Braves offered Spencer a contract for the 1964 season. What he encountered in Japan was a league far behind the caliber he was used to in the major leagues. Spencer felt that if he was able to apply the strategies that he learned until the tutelage of the likes of teammates Alvin Dark and Bill Rigney, that he would have made a run at the championship annually in Japan. “If I would have managed the first couple years, we would have breezed in every year,” he said. 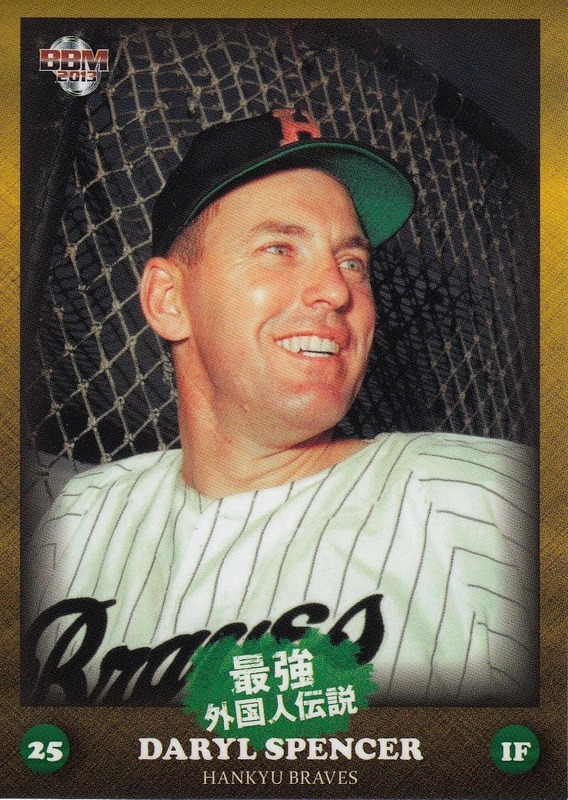 “Percentage baseball in Japan when I first went was so ridiculous and it took me about almost two-thirds of the season to get to the pitcher. Spencer hit 74 home runs in his first two seasons in Japan in the supposed twilight of his career. He was at a point where his knowledge matched his physical abilities and the combination of the two in Japan allowed him to excel. He brought an aggressive style to Japan that went against cultural customs. While major league baseball players were famous for their take out slides, those actions weren’t part of the game in Japan, that is until Spencer broke tradition. Spencer took a hiatus from playing after the 1968 season after he hit 142 home runs in five years, well outpacing his production during the decade he spent in the major leagues. He returned as a coach in 1971, fifty pounds over his playing weight. As Spencer began to work out the players, his weight started to melt off and he mulled a return to the diamond. He spent two seasons as a player-coach, mostly as a first baseman. He finally called it quits in 1972, some 23 years after he broke into professional baseball. He returned home to work with the Coors Brewing Company. Looking back on his career in 2008, Spencer was proud that the records he set over 50 years ago still persisted.